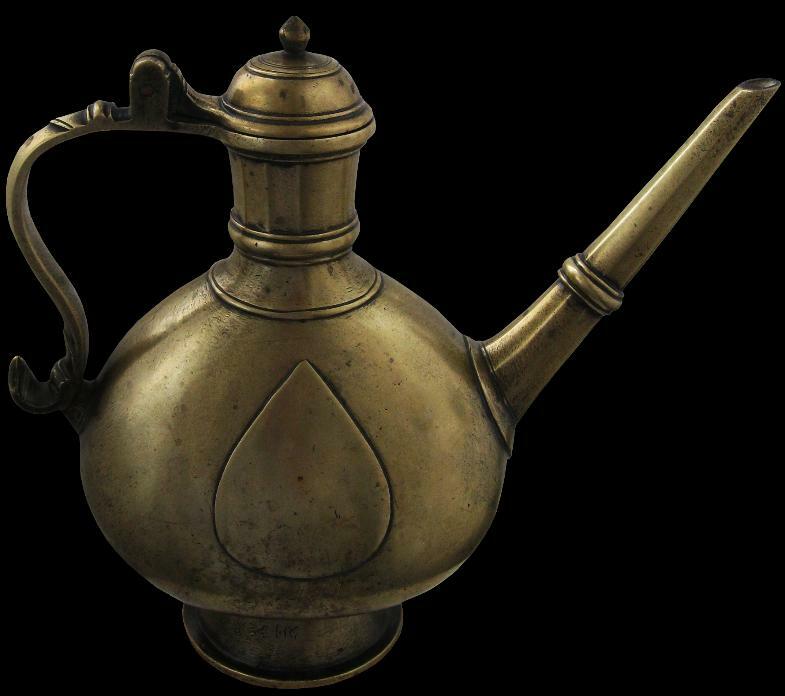 This elegant ewer comes either from the Deccan (central) region of India or from northern Mughal India. Its beautiful proportions are complemented by a wonderful buttery patina and contours softened from age and use. The brass employed is an unusually muted pale yellow – bordering on white – suggesting an atypically high zinc content. The ewer also has a heavy feel in the hand. It has a flattened, tear-shaped globular body with a central tear-shaped cartouche cast into either side. It stands on a splayed foot that has an engraved northern Indian inscription. 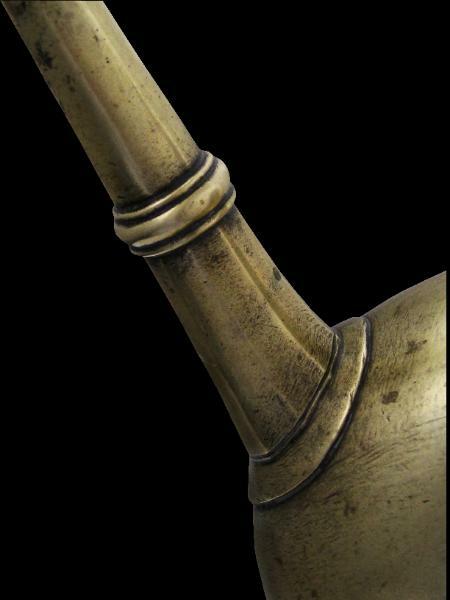 The spout is straight and thin. It and the neck have been cast with soft fluting. The handle is in a classic ‘S’ shape. The lid in domed form is the original lid (often lids are either no longer present or replaced). It sits well and tightly and has an architectural quality. 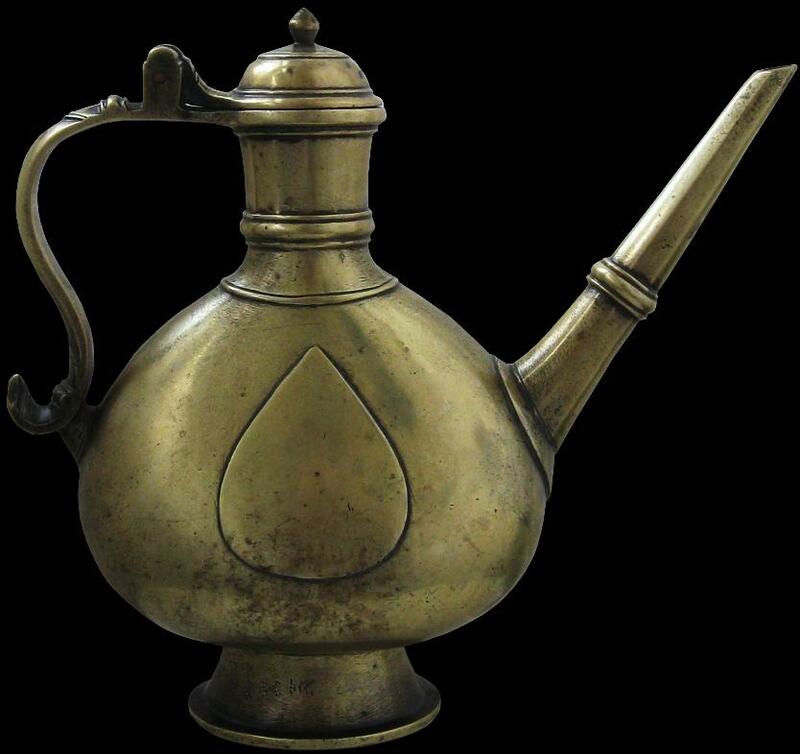 Overall, this ewer has been exceptionally well cast and its clean lines and simplicity afford it a majestic presence. 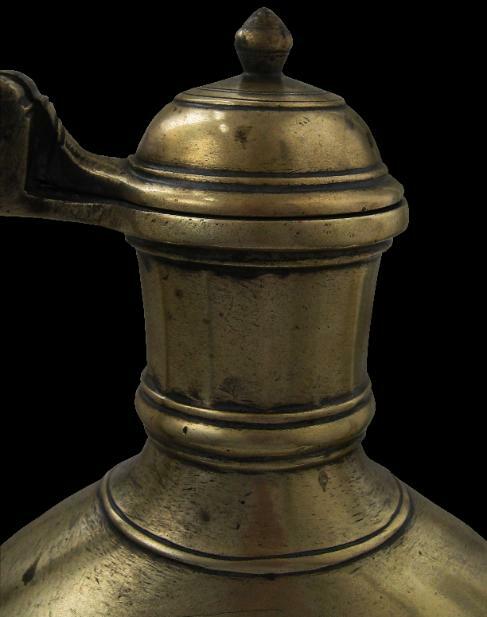 Mughal and Decanni ewers from this period are becoming increasingly scarce.